Add just the right touch of sweet and hearty flavor to your charcoal barbecuing experience with real hickory. 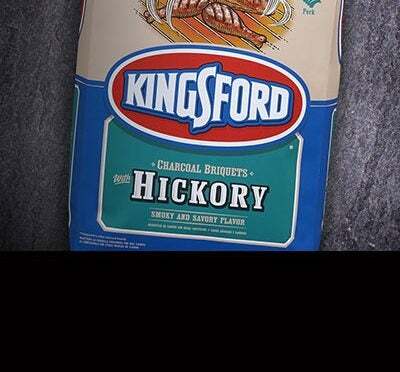 Kingsford® Charcoal with 100% natural hickory is the perfect complement to your pork, poultry, beef or game. And just like Kingsford® Original Charcoal, Kingsford® Charcoal with Hickory features our signature Sure Fire Grooves® for easier, faster lighting*. Available in a 6.62 kg bag.